A Republican tasked with fighting against sexual harassment in Congress secretly settled a misconduct complaint filed against him by a former aide, The New York Times first reported Saturday. According to the report, Rep. Patrick Meehan (R-Pa.), a member of the House Ethics Committee and married father of three, expressed interest in the personal life of a female aide who was decades younger than him. Meehan eventually attempted to pursue a romantic relationship with the aide and became hostile when she rejected his advances, the Times said. The advances reportedly made the aide, who remains anonymous, so uncomfortable that she filed a complaint against Meehan, began working from home and, eventually, quit. Meehan was booted from the House Ethics Committee on Saturday, hours after the Times story was published. A spokeswoman for House Speaker Paul Ryan (R-Wis.) announced Meehan’s ouster in a statement to The Hill. In its story, the Times spoke with 10 people who either worked in Meehan’s office or were friends with the aide at the time the alleged harassment took place. 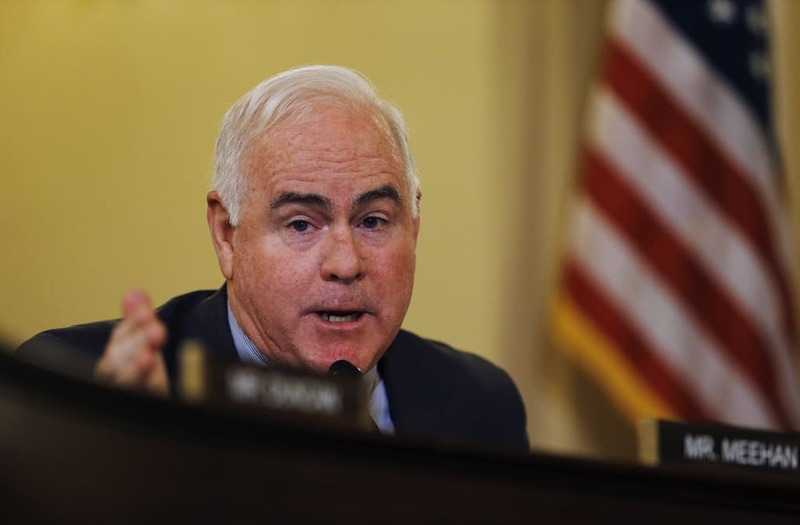 After the aide left her post in Meehan’s office, Meehan reportedly paid her an undisclosed amount from his congressional office fund, which includes taxpayer money, as part of a confidential agreement. Meehan requested that the congressional lawyers involved in the case release both parties from the confidentiality agreement “to ensure a full and open airing of all the facts,” Elizandro said. According to the former colleagues of the employee, Meehan expressed so much interest in her while she worked in his office that others viewed it as unprofessional. He then appeared to become jealous when she entered a serious relationship last year, the Times reported. Meehan reportedly told the woman of his romantic feelings in person and later in a handwritten letter. The aide filed a complaint alleging sexual harassment after she said Meehan became hostile toward her. The former aide told the Times that those tasked with handling the complaint, including two representatives for Meehan and two lawyers for the Office of House Employment Counsel, suggested she had misinterpreted Meehan’s behavior, leaving her feeling demoralized. Meehan and his former aide eventually reached a settlement and nondisclosure agreement after mandatory counseling and mediation sessions, according to the Times. Over the past few months, the House Ethics Committee has been investigating several members of congress who are facing sexual harassment allegations or who have reached settlements with their accusers. In December, the committee opened investigations into sexual harassment claims made against Reps. Blake Farenthold (R-Texas), Trent Franks (R-Ariz.) and Ruben Kihuen (D-Nev.). In light of those investigations, both Farenthold (who reportedly used $84,000 in taxpayer money to settle his claim) and Kihuen announced they would not be running for re-election; Franks resigned from Congress. Lawmakers in the House have issued more than $100,000 in taxpayer-funded settlements for sexual harassment claims made between 2008 to 2012, HuffPost reported in December. House and Senate legislators have since introduced proposals to ban the use of taxpayer-funded settlements. After speaking with Meehan on Saturday, Ryan said Meehan was submitting himself to the Ethics Committee for review, according to Ryan spokeswoman AshLee Strong. Ryan also urged Meehan to repay the funds he used in his settlement. “The new reforms going into place bar the use of taxpayer money to pay settlements, and so the speaker has also told Mr. Meehan that he should repay whatever taxpayer funds were used to settle this case,” Strong said on Ryan’s behalf.